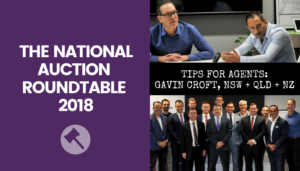 In this exclusive interview as part of our 2018 National Auction Round Table video series, Steve Carroll talks to Justin Nickerson about working with few or no registered bidders, pitfalls of rookie agents, working with agents, handling post-auction feedback and advice for aspiring auctioneers. 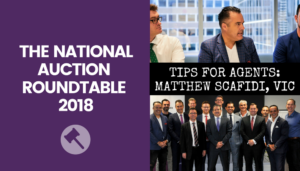 With thanks to realestate.com.au Agent Advantage. Steve Carroll: I was talking to Nerida, the REA Economist, and she was saying that the climate is such that auctioneers are having to work even harder for their money. Is that fair? 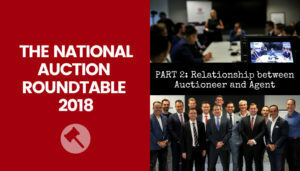 Justin Nickerson: I definitely think it’s coming down a little bit more now to the skill of the auctioneer because the skill of an auctioneer is not quite an auction without registered bidders and going past a reserve and it excels and everyone’s happy. 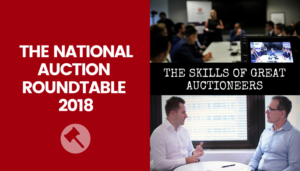 The skill of an auctioneer is working with one or maybe two bidders, having to negotiate with them, and really trying to draw out that extra last dollar, and also sometimes delivering a message to the seller, the seller doesn’t want to hear. And getting them to understand that these are their best interests to let the property go. Steve Carroll: One of the toughest things I’m imagining for an auctioneer is when you roll up and there’s one bidder. How does that all play out? Justin Nickerson: Part of that is ‘no bidders’! 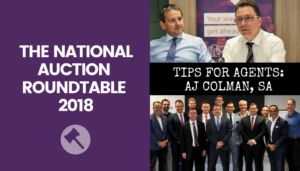 So if there’s no registered bidders, we’ll usually make a call out just prior to the auction starting remind them you’ve got to register. 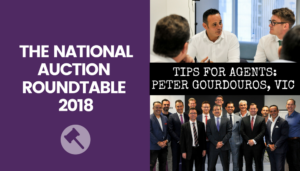 If you get to that situation where there’s no registered bidders, usually the decision is made how you run the auction in consultation with the seller. So the three options they’ve got is that you don’t call it. You simply make an announcement and say look there’s no registered bidders today. There’s post auction interest. We’re not going to call the interest, go straight to that. You can open the auction full well knowing that no one’s going to bid, not place a vendor bid, or you can place a vendor bid to give everyone a ball park of where the seller might be looking. So really the key strategy that decision they need to make is do they want to price release to the market at that point or do you not want to price release because you want to hold that back to start to negotiate with parties. Usually it’s done with a thought of who is here ready to watch the property get past and negotiate straight away. If you’ve got someone there that’s ready to negotiate, you’re always better keeping the price to yourself, letting them step first and then you can start to negotiate. Because if you place a vendor bid, you go to high you scare them away, you go to low and they call back their offer. Steve Carroll: If there’s one bidder, do things change? Justin Nickerson: Yeah it does. You really come at a more intimate negotiation and it’s a public negotiation. So what we usually do is come to the registered bidder. We’ll give them the heads up that they are the only registered bidder, because they’re going to work it out pretty quickly anyway when no one else is putting up their hand. So it allows us to control the conversation and say look Steve, you’re the only registered bidder today, this party’s here that I’m hoping the property gets past him, but for the next 10 or 15 minutes it’s just you. 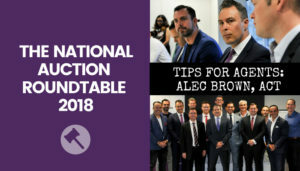 So what my suggestion would be to you is if you can start us off at an opening bid. Doesn’t matter what figure you like. 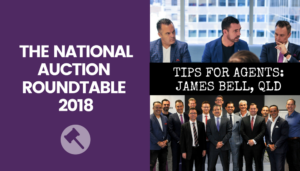 What that allows us to do is to pause the auction, take you aside privately and let you know where you got to get to buy the property today and you can make a decision from there. So you put them at ease understanding of okay well I’m actually in a really good spot and all I’m going to do with an opening bid is earn the right to hopefully hear where the seller’s going to sell a property to me at and then I can make a decision and then it becomes more like a negotiation. 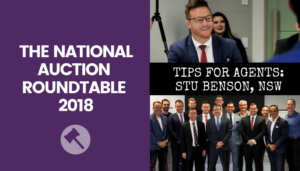 Steve Carroll: What are the key dynamics to have a winning partnership between auctioneer and agent? Justin Nickerson: Trust is probably a big one, as in all relationships in any facet of life. I think trust is ultra important. But I guess an acknowledgement of this is what my role is and this is what your role is. We as the auctioneer see ourself as the last three percent. So the agent’s 97%, we’re the three percent on the day that can make that extra little bit of a difference but if the lead up work hasn’t been done prior to that point, we’re powerless on the day. 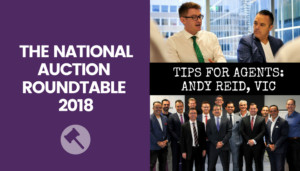 The agent’s responsibility is to get as much information to the auctioneer as they can so when the auctioneer gets in front of the crowd or gets in the negotiation space, they’re armed with that information that’s going to help them do their job more effectively. 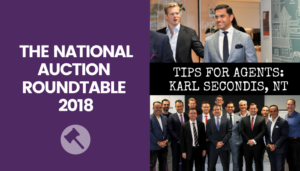 Steve Carroll: So, what are the biggest errors, mistakes that rookie auctioneers make? 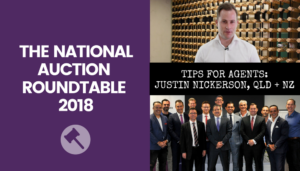 Justin Nickerson: The number one mistake that I think auctioneers make, and this is a holistic thing is that it’s pretty easy to get to a mediocre level and stop. Auctioneering is inherently an individual thing. On a Saturday you’ll go call your auctions. You won’t see anybody else. Every once in a while someone will come and tell you that you called a really good auction so you think you’re great and that’s where your learning stops, and I reckon that’s the biggest mistake that a lot of auctioneers make is they get to that mediocre to good level and just stop because they don’t have any outside influences that are telling them hey you need to do this to go forward and improve your skills. Steve Carroll: One of the buzz words in any industry is ‘feedback’. So, can you talk me through what good feedback looks like following either a successful auction or a disappointing auction? Justin Nickerson: Yep. We banned the word ‘feedback’ firstly. Steve Carroll: So, that’s not the buzz word in your world! Justin Nickerson: We call it ‘information’ because I think our role is to get the seller an informed decision to make. That’s our fundamental role. They’re going to decide whether they sell a property or not. Our job is to give them informed decision to make. The one thing that we see the really good agents do is they create offers before the auction to give the seller genuine information prior to the date. 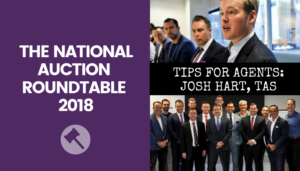 Plus commit the buyers and statistics that we had from 2017 show that if you got offers prior in your auctions, you had an inherently higher chance of selling them on the day rather than not. So I think the good agents have really great language in creating offers prior with the buyers to get them in a situation where the owner understands where they’re sitting prior to auction day. Steve Carroll: You moved from being an agent at Ray White into obviously an auctioneer and you’ve got your own business now. 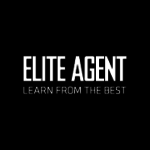 There’s clearly hundreds or thousands of agents out there who want to follow the same pattern as yourself or the same journey as yourself, what advice would you give them? Justin Nickerson: Do your time as an agent first. Because it’ll give you a fundamental understanding of a lot of the things that go on with an auction campaign. The myth is that the auctioneer is the entertainer at the front. Realistically, the auctioneer is just the conduit between the negotiation. 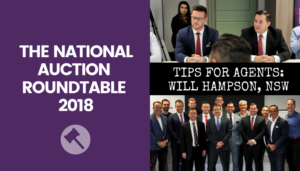 We work with agents closely so you need to understand how agents think because agents are a little bit different in a way that they’re wider and the way that they operate. So make sure you do that but just never stop learning I should stay. Source people out. Ask questions. Watch people. Take notes. And make sure you keep learning all the way along. Real estate’s not a short game. It’s a long game. So you’ve got to keep doing the actions before you get the reward because the reward will come but if you stop doing the actions, the reward will stop down the line.